For the team here at BlueStacks, our lives revolve around games. We’re always trying the best and newest titles on the market, just so we can produce our unbiased reviews and opinions for our loyal readers. We can all agree that it’s a nice change to play those titles where you can simply turn your brain off and enjoy some gratuitous, mindless entertainment, sometimes. Games with turn-based combat, MMOs where you have to grind, or even match-3 titles like Candy Crush, are only a few examples of these games that we can enjoy while performing other tasks, without having to dedicate too much brainpower. Nevertheless, when it comes to these easy, casual games, the adventure genre seldom comes to mind. This is mainly due to them requiring your focused attention to follow the storyline or to understand its combat mechanics. Some of these games also feature lots of strategy in their combat systems with elemental and type weaknesses, terrain advantages, and skill combos, to name a few. However, we’ve come today to show you an adventure title that features both a light story, as well as simple mechanics that encourages a casual playstyle. Aurora Legend is the newest title developed by Rastar Games and released just a few days ago. 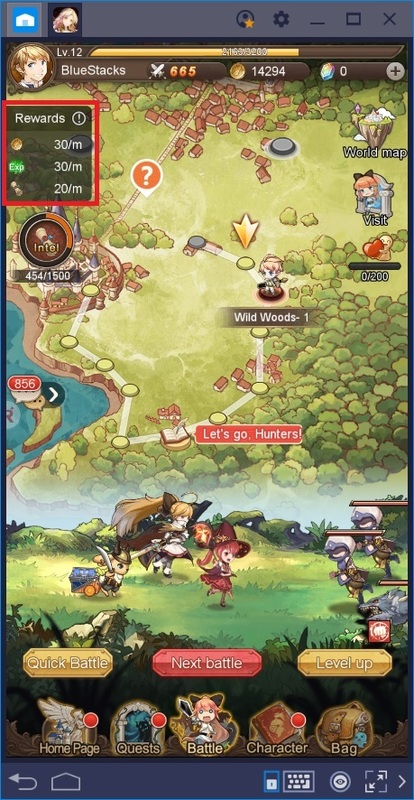 This game offers what we’ve come to expect from most RPG adventure games in the market: a character progression system, level-based story progression, and the ability to assemble your own teams by unlocking characters in genuine gacha fashion. However, unlike most titles in this genre, Aurora is also great for those who are looking for a casual title that they can enjoy without having to sink too much time into it. With some exceptions, mobile games tend to keep their stories on the light side, and Aurora Legend is no exception. Its story is just as simple and casual as its gameplay. Its narrative is set in a world that existed in absolute peace until the demons invaded and threatened to enslave every living being. Luckily, a group of human rebels formed and, with the aid of an archangel, were slowly gaining ground on the demons. After a long battle, the war reached its climax when Astaroth, the Demon Lord, self-destructed to try and destroy the world. However, 3 mighty heroes joined forces with the archangel to conjure a shield and absorb the explosion, which saved the world at the cost of their lives. This legend is deeply rooted in the lore of Aurora and influences the events of the game. Not that this really matters since the game barely has a story once you begin your adventure. Nevertheless, we find that fact comforting for this game; not every title needs a deep story to be enjoyable. With that being said, if you’re looking for a game with a meaningful plot and narrative, then this might not be the one for you. 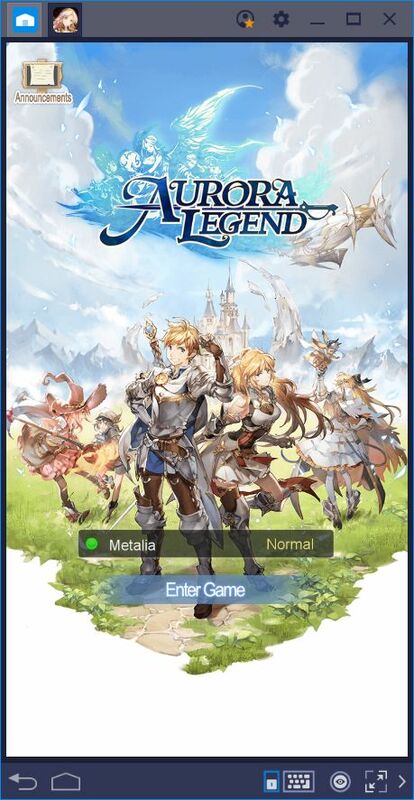 However, if you have a tight schedule, and would like to play a game that requires minimal interaction to progress and strengthen your team, then consider checking out Aurora Legend. The very first thing that you’ll notice about this game is that you have no bearing on what your characters do in battle. Each fight is represented by a small graphic detailing your team engaging in combat against the enemy. 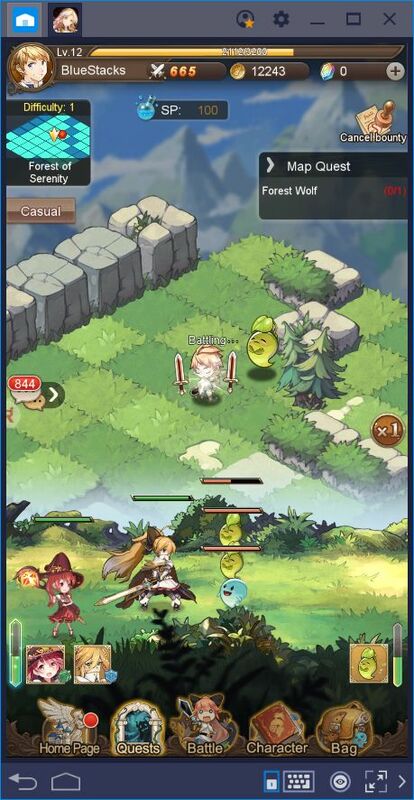 In this graphic, you can see your characters auto-attacking the enemy, which doesn’t deal much damage. However, in the background, there is a slot that is constantly spinning and landing on different symbols. These symbols represent the moves that each character will use on the next turn. You have no control over this slot machine other than adding more symbols to each character when you learn new skills. In other words, by leveling up your characters, they acquire new skills that are represented by additional symbols in the slots. Nevertheless, the moves that they use in each attack are completely random. This battle system lends itself to a casual playstyle. In most cases, you only need to enter the battle and watch it unfold without having to do anything. Nevertheless, there are quite a few ways to improve your gameplay with BlueStacks. 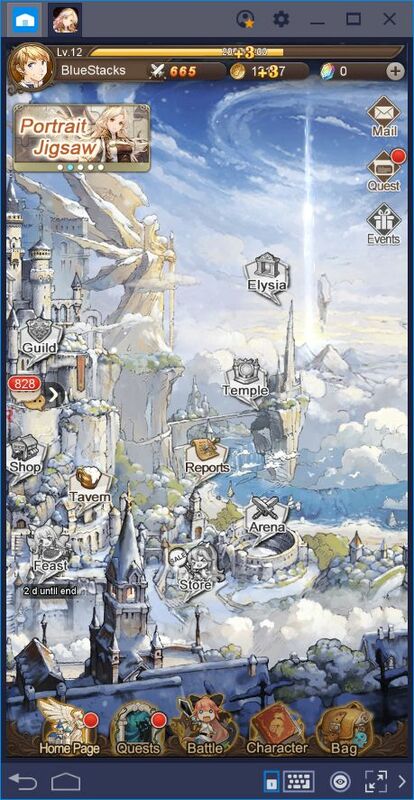 Take a look at our BlueStacks usage guide for Aurora Legend if you want to learn more. Since you don’t manually control your characters at all, your performance in this game comes down to team composition and preparation. In this sense, you will have to manually equip and train each of your characters to prepare them for each mission. 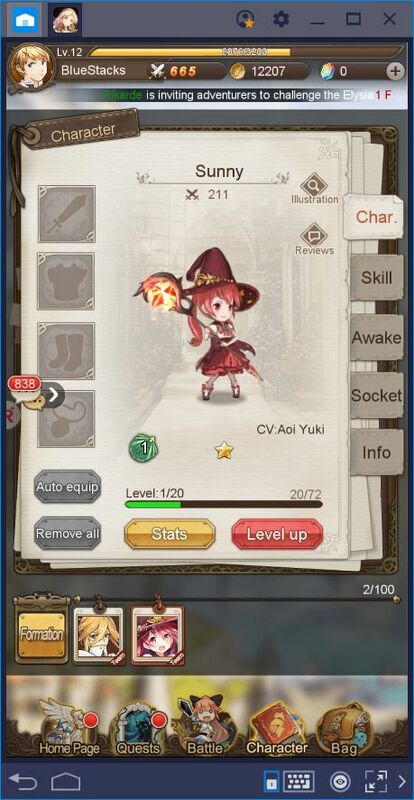 In this sense, you can level them up using skill books, equip them with gear to improve their stats, and awaken them to improve their star rank. There are many other ways in which you can strengthen your team, all of which require unit micromanagement. Because of this, this game is perfect for those who enjoy creating awesome teams and watching as they easily defeat any enemy they encounter. In this game, you can receive certain resources including experience, gold, and Intel. 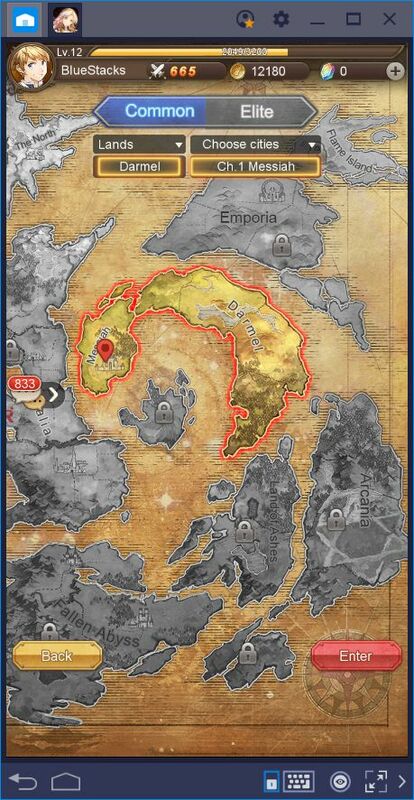 The latter is used for unlocking missions, which are sidequests that you can complete to obtain awesome rewards. In contrast to the rest of the game, these missions are played in a grid that you can freely traverse. Every mission has certain objectives that you must complete before leaving such as gathering items, exploring buildings, or defeating enemies. Each element is represented by a character or symbol on the map and, by walking to the corresponding tile, you can interact with them. If you run into an enemy in a mission, a small battle screen where the fight unfolds will appear. These battles play just the same as any other fight, with your characters battling automatically until a winner is determined. 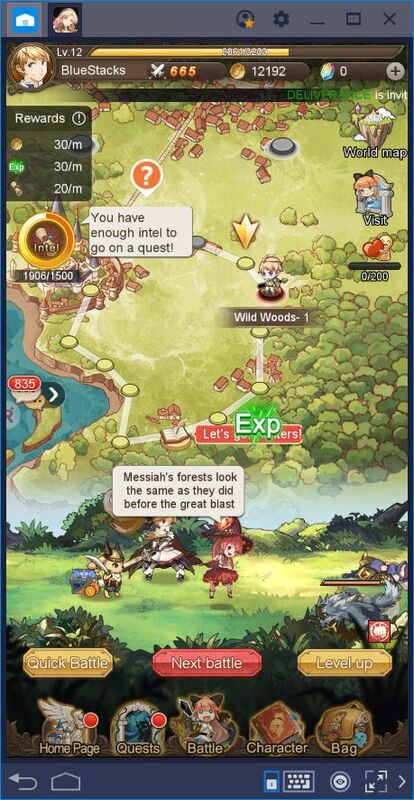 Once you complete the objective and explore the map, you can exit the mission and submit your findings to the guild, after which you will receive awesome rewards. However, you can only attempt another mission once you have gathered the necessary intel, which could take a while. Luckily, this game plays itself so you don’t have to dedicate your entire life to farming for materials. 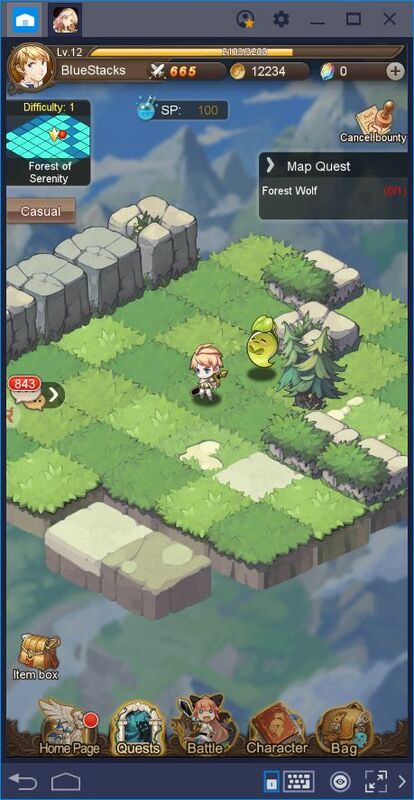 That’s right, Aurora Legend has a farming system where your characters continue to battle endlessly, even while offline. Every time you arrive at a new level, you can see your characters tirelessly battling against hordes of monsters. This scene isn’t just for show as each monster that your team defeats drops experience, gold, and Intel. You can check how much of each resource your team generates per minute on the screen located in the far left. 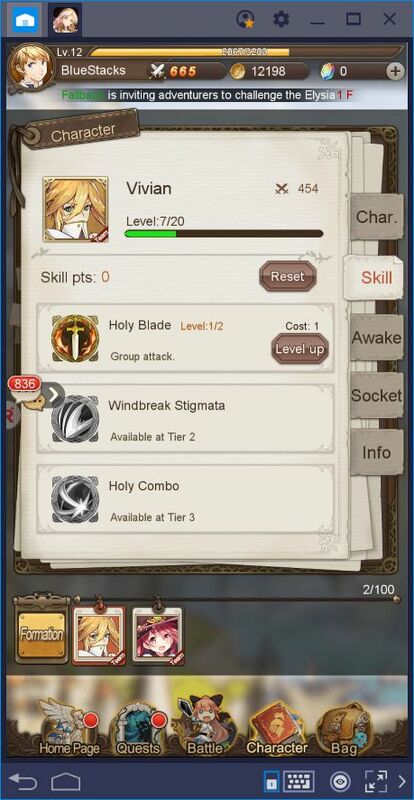 With this auto farming, you can rest assured that you won’t need to spend endless hours grinding for materials to fund your missions. In this sense, you can focus on clearing missions and having fun, and leave the dirty work to the computer. In a nutshell, If you want a game that basically plays itself, but that also allows you to take control during missions, then consider taking a look at Aurora Legend. You won’t be disappointed!